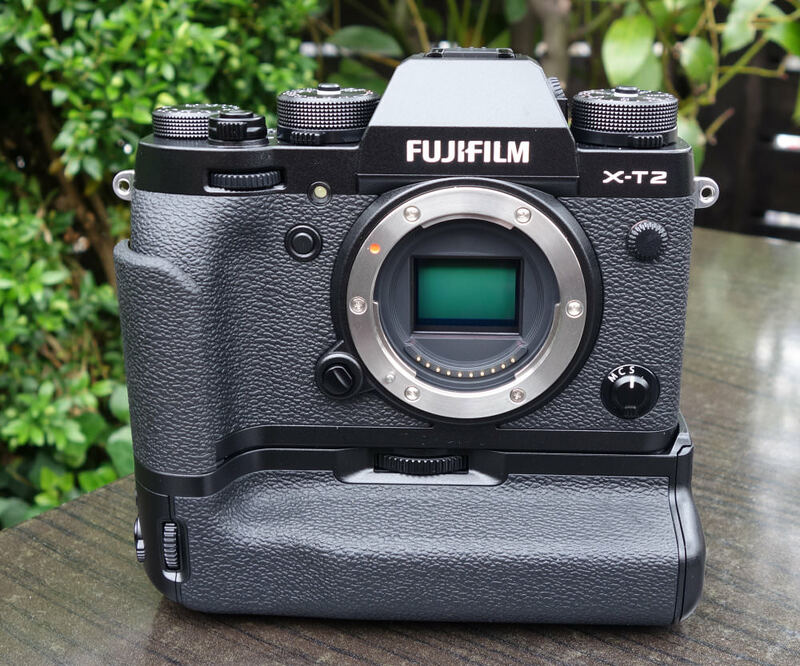 Fujifilm has added that the flagship X-T2 to its X-series line-up and we've published our full review. This year marks the 5th anniversary of the Fujifilm X-Series and as Fujifilm has released the X-T2, the latest mirrorless digital camera that brings improvements on the X-T1 and shares the flagship mantlepiece with the X-Pro2. 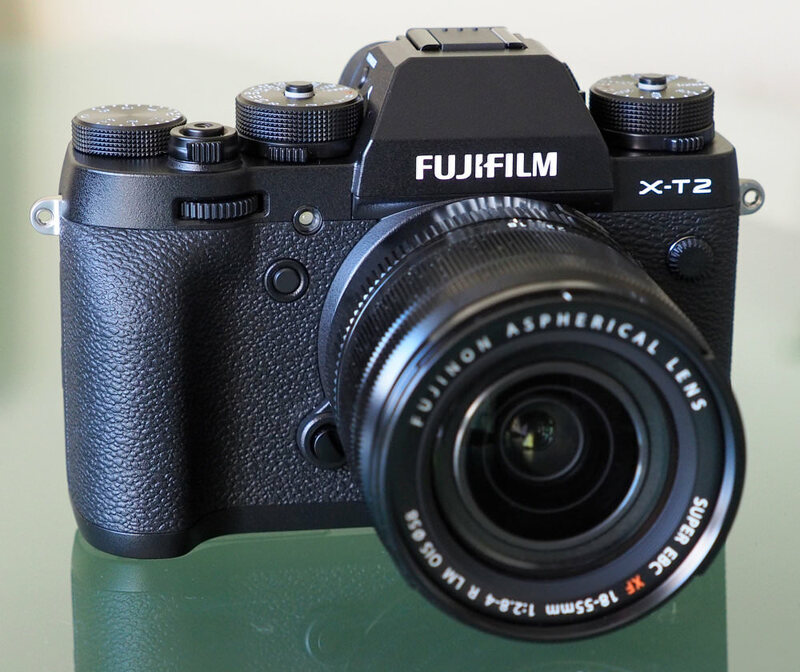 The new X-T2 will be available on the 8th September for £1399 (body only). For more information on pricing and the kit combinations available, have a look at our news story. The Fujifilm X-T2 features a dust- and water-resistant body and it's also capable of operating at temperatures down to -10°C. When compared to the X-T1, of which it takes the central viewfinder style from, the X-T2's autofocus and electronic viewfinder performance have been improved and the X-T2 also supports 4K video recording, a first for the X Series. As mentioned, Fujifilm sees the X-T2 as a twin flagship camera that will sit alongside the X-Pro2, with the X-T2 appealing to those who capture portraits, nature and sports photography, while the X-Pro2 is ideal for documentary and street photography. Inside the X-T2 you'll find a 24.3MP X-TransTM CMOS III APS-C sensor and no low-pass filter which when combined with the processor's responsiveness, should mean images can be captured quicker. 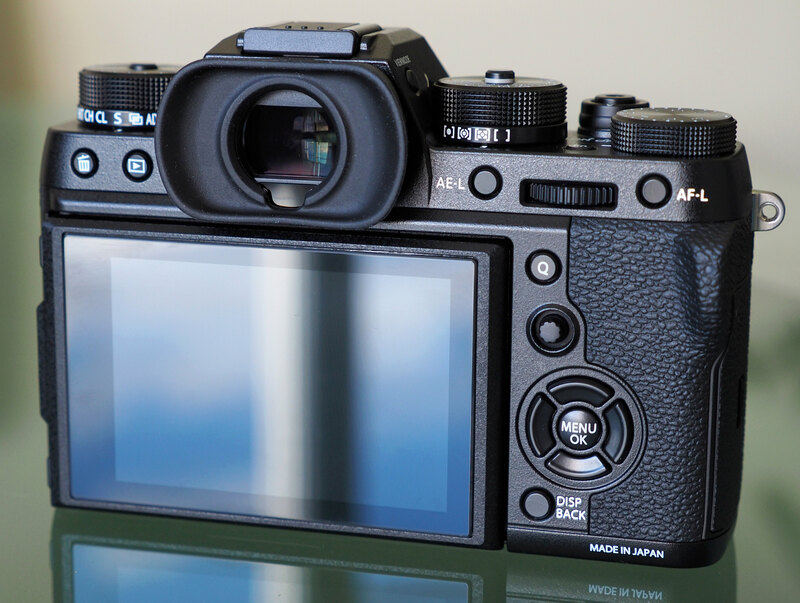 Fujifilm says the basic autofocus (AF) performance of the new X-Series camera has been improved (even in low light) and subjects which the phase detection AF once struggled with promise to not be a problem anymore. These include low-contrast objects and subjects with fine and delicate textures such as bird feathers and animal fur. 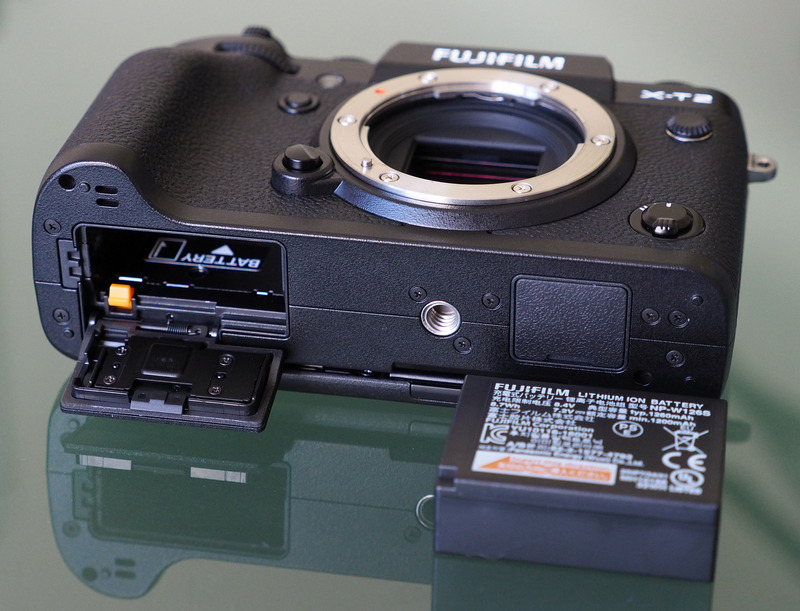 Fujifilm X-T2 Sensor - the central square in the middle of the sensor is the phase-detection focus area. Despite having the pixel count 1.5 times that of the X-T1, the X-T2 has an expanded ISO sensitivity and Fujifilm says it's actually more capable of controlling digital noise. Also, ISO12800, which was part of extended ISOs in X-T1, is now available as a regular ISO option. The X-T2's custom AF settings (AF-C) are also worth talking about as you can either select one of the presets built in or customise the AF's tracking capabilities depending on the type of subject you're photographing. When customising, you can choose the individual settings of 3 variables: tracking sensitivity, speed tracking sensitivity and zone area switching. The presets on offer include a set for subjects such as birds that can appear quickly so focus has to 'snap' into action and one for accelerating and decelerating subjects such as sport. The number of focusing points has also been expanded from 49 to 91, with a further 325 focus points an option in the menus. Video recording has to be mentioned as the X-T2 is the first camera in the X-Series to support 4K video recording. The Film Simulation modes, available for stills are now also available when capturing video and after listening to videographers, the X-T2 supports HDMI output. Live monitoring and audio adjustments are available in camera and a stereo mic is built into the camera's body. A headphone terminal is also available but this is built into the Vertical Power Booster Grip (a posh name for battery grip). For monochrome fans, the Film Simulation function now features an ACROS mode and the X-T2 also has a Grain Effect function that's available in 'Strong' and 'Weak' and can be combined with any of the Film Simulation modes. An optional extra that will be available when the X-T2 is released is a Vertical Power Booster Grip. This is also dust- and water-resistant and is capable of operating at temperatures down to -10°C. The grip fits two batteries, bringing the total number of batteries to three, including the one on the camera. In the Boost mode, multiple batteries can operate at the same time to give a boost to camera performance in continuous shooting, shooting interval, shutter release time lag and blackout time, while also extending the duration of 4K video recording to approx. 30 minutes (without the grip, this 4K video capture time is 10 mins). The maximum number of frames that can be taken per charge is also extended to 1,000 frames. The EVF refresh rate is also extended from 60fps to 100fps in boost mode and lag time is reduced to 0.045sec. AF speed (0.06sec) is improved when using the boost mode, too, and so is the shooting interval rate (0.17sec). The Grip features a shutter release button, focus lever, AE-L button, AF-L button, command dials, Q button and Fn button. Plus, when using the AC adapter supplied, the grip can be used as a battery charger, charging two batteries at the same time in approx. 2 hours. The X-T2 can be controlled via a smartphone or tablet that has the Fujifilm Camera Remote app on it and the camera can be used with the full line-up of 22 Fujinon lenses. 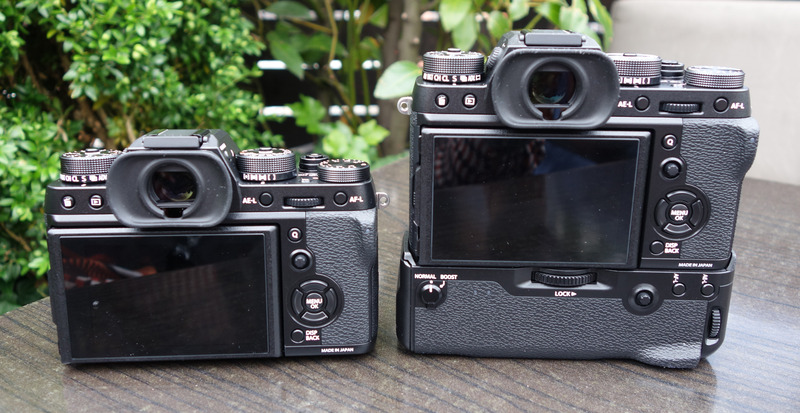 When it comes to its design, there are a few subtle differences when compared with the XT-1 which includes raising the ISO and shutter speed dials to make them easier to access, a larger grip and a 3-way tiltable LCD screen. 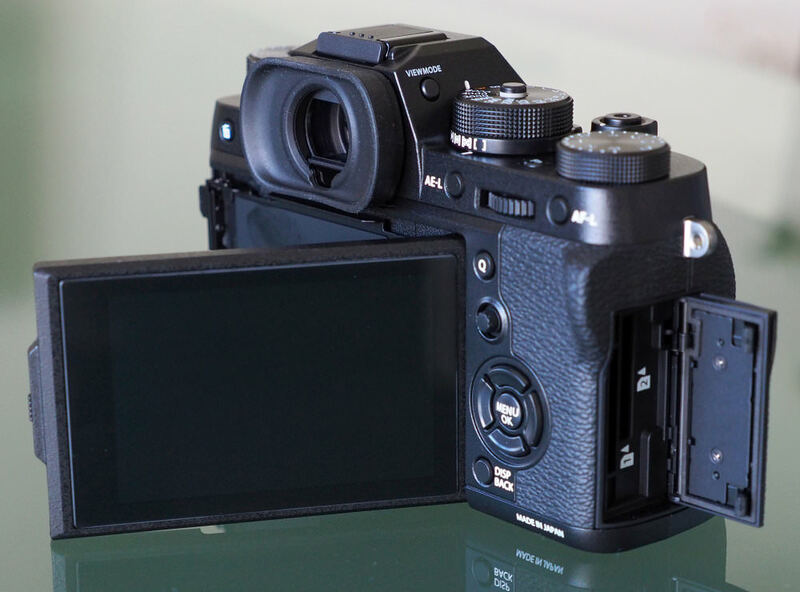 The 4-way button has been heightened, there's a larger eyecup and if you take a look at the top of the XT-2, you'll notice the video button has been removed. Under the memory card door, you'll find a dual card slot and you can now quickly make changes to the focus are with the new focus level found on the back of the camera. There's also a custom function available on the exposure compensation dial. In the hand, the X-T2 fits well and all of the dials are well positioned. The improved design of the screen is great, making it easy to shoot from above your head or from low angles and the XT-2's lightweight (507g) and small-sized body makes it easy to carry without your arms complaining they're aching from too much weight. The battery grip does make the camera substantially larger but the improved handling with larger lenses, its ability to accommodate 2 more batteries and higher performance rates it promises, makes the extra bulk sound like something that could be worthwhile putting up with. The grip also makes the handgrip on the camera itself larger as well. The large (2.36-million-dot) electronic viewfinder (EVF) with the magnification ratio of 0.77x and a display time lag of 0.005secs is bright, clear and blackout time is less than half of that of the X-T1. Fujifilm says this will enable continuous shooting of 5fps in Live View (previous models could only achieve 3fps), giving users the ability to easily continue tracking a moving subject. The maximum brightness level of the EVF has also been improved, doubling its brightness level when compared to previous models. Mechanical dials sit on top of the X-T2 and they give access to all basic camera settings, including the shutter speed, ISO sensitivity, exposure compensation, drive modes and metering modes. The focus lever on the back can be moved up / down, right / left and diagonally very easily to control the focus area and the rear LCD screen, which as we've mentioned, has had a redesign to make it a three-direction tilting display. You won't accidently change the shutter speed or ISO setting either, as these dials have a lock and release button. The menus are clearly laid out, and there is even the option to record raw files as compressed or lossless uncompressed images. Fujifilm also announced the release of a new flashgun and the availability of new firmware for the X-Pro2. A new lens roadmap has also been introduced with a 23mm, 50mm and 80mm lens now in production. Battery life is rated at 340 shots in normal mode, with approx 1000 frames possible with the optional VPB-XT2 battery grip. I can't wait for the full review and testing. [quote]I can't wait for the full review and testing. [/quote] me too. it is gonna be my favorite camera! Quote:I can't wait for the full review and testing. me too. it is gonna be my favorite camera! 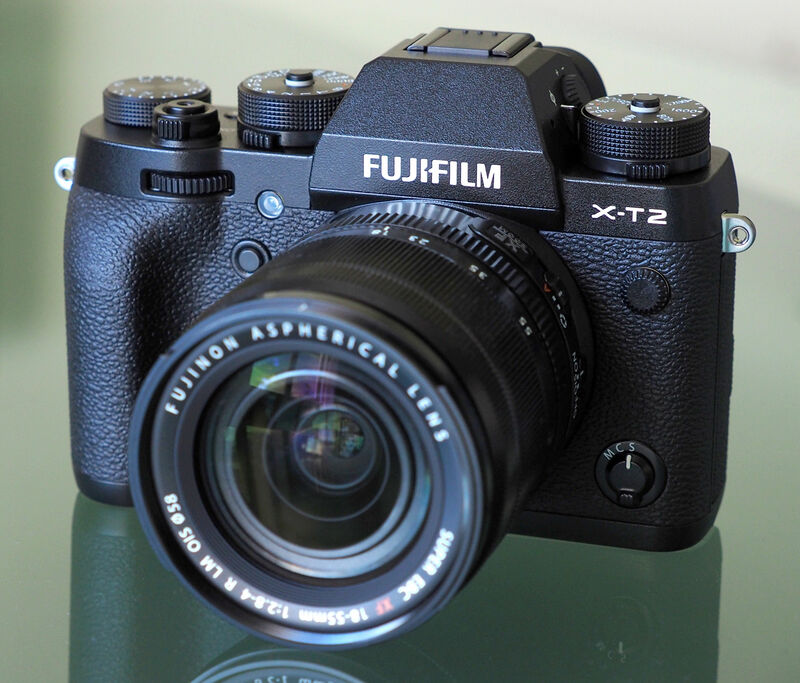 I wish I had this X-T2 AF system in my present Fuji HS50EXR. Should be a great camera, but just a shame that Fuji still feel the need to give the XT a 'mock dslr' style body. Handling for anyone with a nose is comprised by positioning the evf in the centre, and with no prism or mirror it's just not needed. It could have been better if designed as a more compact alternative to the X-Pro 2 and a water resistant update on the X-E2s, with a more logical body design. The evf could even be adjustable so it could be placed in the ideal position or even removed as a remote. But mirrorless manufacturers seem to lack a bit of confidence and believe they need something that looks like a dslr to be taken seriously. Olympus and Sony have the same issue with their 'pro' models. Should be a great camera, but just a shame that Fuji still feel the need to give the XT a 'mock dslr' style body. Handling for anyone with a nose is comprised by positioning the evf in the centre, and with no prism or mirror it's just not needed. 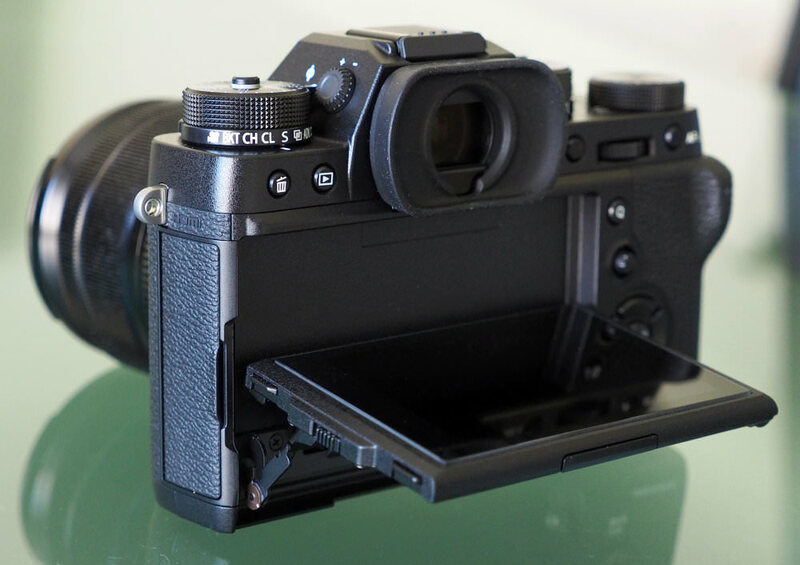 It could have been better if designed as a more compact alternative to the X-Pro 2 and a water resistant update on the X-E2s, with a more logical body design. The evf could even be adjustable so it could be placed in the ideal position or even removed as a remote. But mirrorless manufacturers seem to lack a bit of confidence and believe they need something that looks like a dslr to be taken seriously. 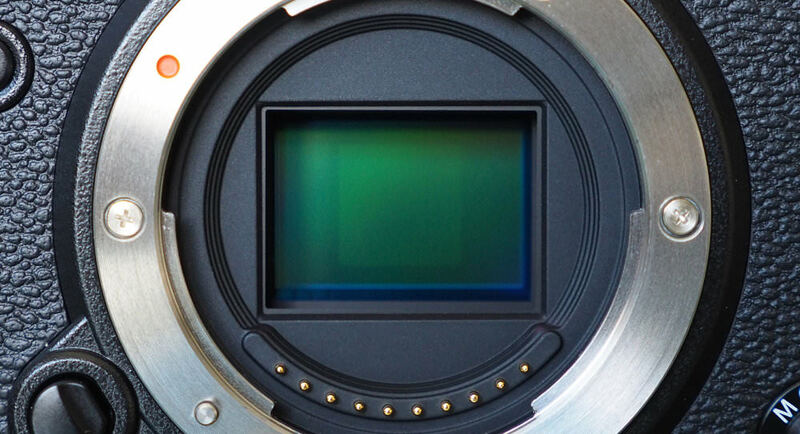 Olympus and Sony have the same issue with their 'pro' models. Seriously? If they redesigned it to be like the X-Pro 2, it would be the X-Pro 2 - why should it be more compact? If you prefer the rangefinder style, buy that - it's not that big. If you want a remote viewfinder, use your phone. I like the x-pro2, but i like the new x-t2 as well, but which is best? Whichever floats your boat, but i do love both those camera's but im going to treat myself to an x-pro1 first, my budget cannot stretch to either xp2 or xt2! I like the x-pro2, but i like the new x-t2 as well, but which is best? Whichever floats your boat, but i do love both those camera's but im going to treat myself to an x-pro1 first, my budget cannot stretch to either xp2 or xt2! Ideally I'd like the X-Pro 2 with an articulated screen. Maybe a bit specific, but I'm sure the Fuji designers are scribbling notes and I'll get my wish next time round. 'Dark shadows' a negative? I can see a dead horse getting another beating. Not sure what you mean, but one of the benefits of this type of camera is that you see what you're getting in the EVF and can compensate using the dials so you don't underexpose. Having looked more closely at the DR images, it's clear it's gone for recovering the blown sky rather than lightening shadows - which I would prefer. I've been using this today with the 18-55mm and the 100-400mm. The camera and kit lens just blows me away, the 100-400m is a beast, straight out of shot jpegs are so sharp and represent what I see with my eyes. Maybe after 12 years with shooting with Canon and owninging the 7D for the past 4 years (forever adjusting ISO performance in Lightroom) have pushed me to change and try something different. The fact is, is that I relish the challenge of switching systems, I can't afford to buy the latest Canon and the L range lenses , so I spent my money on Fuji (yes I know it's a lot to spend in one go), what difference, although the 100-400mm is big the XT-2 is almost toy like in weight compared to my old 7D, but ISO performance on the XT-2 is rediculous, and also pics have been sharp, sharp, sharp! I guess tech has moved on in the past 4 years. Yes, I could have bought the latest Canon, but I could never have bought the glass to go with it. ...and just as as side note, you can't review this camera on the day of it's release... shoot in sunlight, low light, flash capabilities, night time, different lenses, all of it's available modes, put it through the mill as with any review, show what it CAN do as well as what it CAN'T. Give it to a pro and an enthusiast for a week... see what they do with it and post the samples... just an idea. Wow have not been looked at this site for a little while. Too many Amazon adds for me. Puts me off coming back. Sorry. Wow have not been looked at this site for a little while. Too many Amazon adds for me. Puts me off coming back. But to shoot with them daylight is really a problem my personal experience. [quote]I like the x-pro2, but i like the new x-t2 as well, but which is best? Whichever floats your boat, but i do love both those camera's but im going to treat myself to an x-pro1 first, my budget cannot stretch to either xp2 or xt2! [/quote] I purchased an X-Pro1 2 months ago for a great price. Awesome camera. And just purchased an XT-1. I would love the XP2 and XT2 but like you, I can't stretch the budget that far haha. Quote:I like the x-pro2, but i like the new x-t2 as well, but which is best? I purchased an X-Pro1 2 months ago for a great price. Awesome camera. And just purchased an XT-1. I would love the XP2 and XT2 but like you, I can't stretch the budget that far haha. Everything is super quick... and iso performance blows my old Canon 7D out of the water (but, the 7D is a few years old now). I have to totally disagree with lenscapon. It's nothing to do with making the camera look like a DSLR. I have an X-T1, X-T2, X-E2 and a nose! Firstly, positioning the viewfinder in the false pentaprism housing, raises and angles your nose away from the screen, whether you are left of right eyed. My nose is pretty average and never touches the screen on these cameras. The rangefinder viewfinders, as on the X-E's and X-Pro's are fine for right eyed people, if however you're left eyed like me, the positioning of the viewfinder, ensures your nose rubs all over the screen and is quite annoying. This is the one of the reasons I went for the X-T's rather than the X-Pro's. Oh by the way, I love the X-T2 it's a wonderful machine! I have to totally disagree with lenscapon. It's nothing to do with making the camera look like a DSLR. I have an X-T1, X-T2, X-E2 and a nose! Firstly, positioning the viewfinder in the false pentaprism housing, raises and angles your nose away from the screen, whether you are left of right eyed. My nose is pretty average and never touches the screen on these cameras. The rangefinder viewfinders, as on the X-E's and X-Pro's are fine for right eyed people, if however you're left eyed like me, the positioning of the viewfinder, ensures your nose rubs all over the screen and is quite annoying. This is the one of the reasons I went for the X-T's rather than the X-Pro's. Oh by the way, I love the X-T2 it's a wonderful machine! I am fully aware that what the camera looks like isn't, or shouldn't be, an issue when purchasing what is in reality, a tool to do a job, but this must be the ugliest piece of kit I have seen in eons. You must've missed the X-T1. I am no expert, but the photos do not look that good, considering the price of the camera. The tree lined shot, for instance, washed out and not a sharp detail to be seen.